by Rev. Gina Rose Halpern, D.Min. Inspired by the great tradition of the world religions’ illuminated manuscripts, for several months I have been creating a painting. In each month’s painting I explore the symbols of the faith tradition that we are about to study at our Interfaith Ordination program’s monthly modules. This month, as I have worked to craft a painting for the June Interfaith module, the art-making process has been working me. Reflecting on the symbolism of Interfaith, I am struck by the image of a basket—a weaving of separate strands into a greater whole. • A basket has comforting connotations: bread, clean laundry, a picnic, a bed for dog or cat. • A basket is woven of many flexible elements, all of which come together to create a functional container. These elements require strength and suppleness. They must bend to and blend with one another if they are to form a useful container. • A basket is permeable. It lets light in, and it can sift out what is not needed. Here’s another significant quality: a basket floats. The baby Moses, a Jew, was placed in a basket on the river Nile. If he had been placed in a ceramic bowl or an exquisite silver basin, it would have sunk, no matter how spectacularly beautiful it was. World history would look quite different if there had been no Moses. There would have been no Ten Commandments, no Jews, no Jesus, no Christianity, no Mohammed, no Islam, no people of the Book. Instead, dispersed tribes would have struggled for survival. 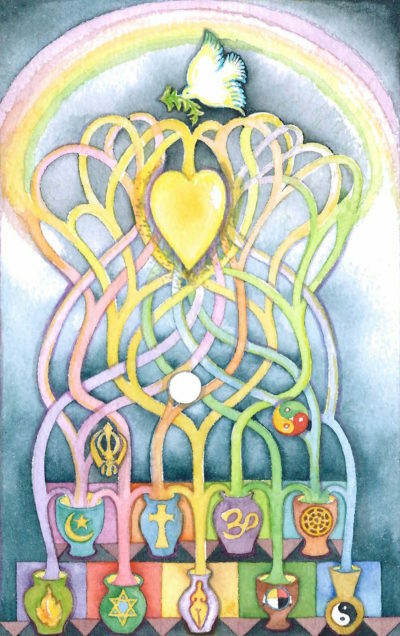 We are each called to weave our own particular basket, a unique container composed of the varied strands of our own beliefs, skills and gifts. As a strong, trustworthy container, we can hold steady, loving presence with others in times of crisis. May your Interfaith Basket of Blessings sustain you, helping you to hold, with an open and compassionate heart, the multiple strands of faith and meaning that you will encounter in your ministry and in life. Rev. 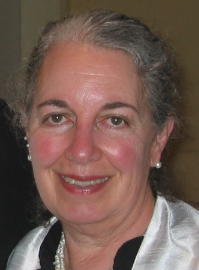 Dr. Gina Rose Halpern is the founder of The Chaplaincy Institute.